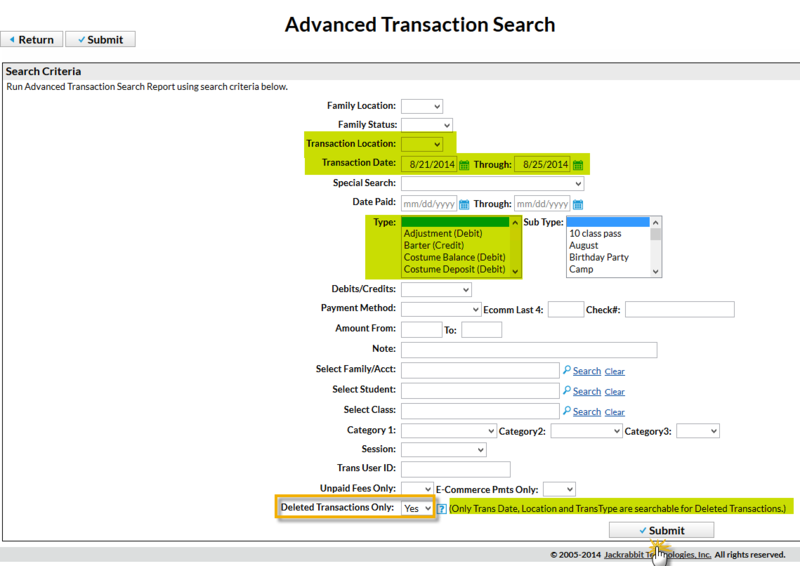 Point to Transactions and click Search. Enter Transaction Date(s), Location, and / or Transaction Type. These are the only searchable fields for deleted transactions. If you enter any other criteria, Jackrabbit disregards it when searching. Set Deleted Transactions Only to Yes.